I have my form set up with google drive integration. It asks for a main folder name and subfolder name (using field values). However the subfolder name it creates is the same as the name it gives to the pdf. Can these be separate options? I want all of the forms for each entry type (defined by field A) to go into one folder (based on field A) together but each pdf to have a unique name (based on field B). 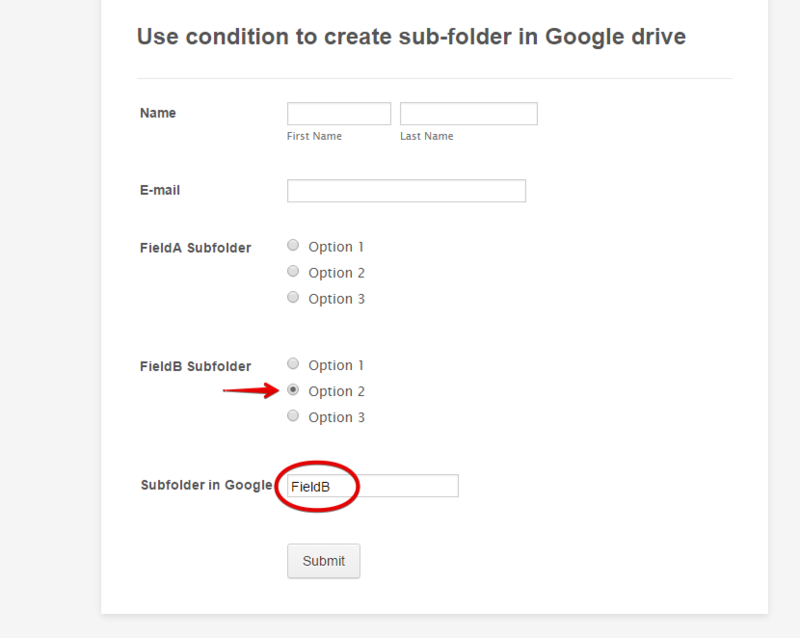 You can add condition rules using the Condition tool in your form that will control what will be field used as the sub-folder in your google drive main folder. Combine the condition logic to the field name(value) that you will use as the custom folder name in Google drive. Hope this help. Let us know if you need further assistanc on the idea I suggested. thanks for the response but I think you have misinterpreted what I was asking. I already have it set up with conditional rules and such. The problem is the PDF it creates has the same name as the subfolder. I would like to use separate files to name the folder and PDF. Unfortunately, it is currently not possible to have separate values for the sub-folder and the PDF file of the Google Drive integration. The value for the sub-folder will always be the value for the PDF. It is also not possible to have all the submissions of a certain type go into a single folder, as this can cause some issues when the submissions have the exact values. This can lead to previous submissions being overwritten or getting mixed up. It is more advisable to have each submissions go into different folders to make it easier to keep track of all the submissions in your drive, and to make sure the integration works properly. Nevertheless, if you would like, I can send your question as a feature request. First, let me see if I got all the details correctly. 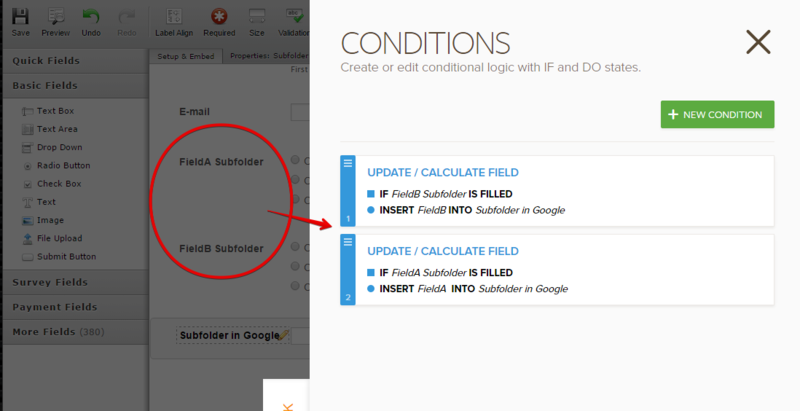 -Each submission with a different value for Field A will have separate sub-folders. Submissions with the same value for Field A will have the same sub-folders. -Each submission PDF name will be based on Field B. If this submission has the same name on Field A, then this submission will be sent to the sub-folder for Field A. Please confirm that this is exactly the feature that you request, or you can add more details that might help our developers. However, please note that we cannot assure if or when this request may be implemented. 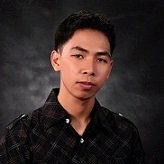 I will be waiting for your confirmation. You have the details correct. And at least with google drive it seems OK to have submissions of a certain type go into a single folder. Google allows for duplicate filenames. I have it set like that currently so they are not all in individual folders and nothing gets overwritten...they just all have the same filename which is not very convenient if I need to find a specific one or something. Thanks for answering and putting in the feature request! Thank you for the confirmation of the details. I have now submitted a feature request ticket using the details you provided. We will notify you here for any updates/news on the status progress. Just checking in on this. Has any progress been made with the ability to use separate fields for google drive subfolder and pdfs? Ex. assign Field A to folder name and Field B to filename? I see a few other threads requesting the same/similar feature but no solutions currently that I can find. Sorry but there's no news yet. You will be updated right here on this thread. But please keep in mind that there's no assurance whether this will be implemented. It will highly depend on the viability of the feature, the amount of similar requests we get (like the one you linked), along with the workload of our Developers.